Moorish American Propaganda Watch: Dan Morse and Washington Post – We caught you red handed! This series is designed to record and publish any articles lying and spreading negative propaganda about the Moorish Divine and National Movement. First up is Dan Morse and the Washington Post. These jokers are working in what seems like a conspiracy to connect Moorish Americans and our MDNM to something called the “sovereign citizen movement”. The reason to do this? From my perspective, it is because the u.s. bankrupt corporation posing as the De Jure Republic Government has classified the “sovereign citizen movement” as the biggest domestic terrorist threat aka the new “Al-Qaeda”. By linking Moorish Americans to “terrorists”, they can label us as “islamic extremists” and “self radicalized’ muslims and persecute us just the same way they do our sistas and brothas in Iraq, Iran, Afghanistan, Palestine, Syria, Yemen, and on and on. “Moorish American sovereigns get their name in part from the Moorish Science Temple of America, a religion formed in the early 20th century that preached obeying laws and had an uplifting message for African Americans: Be proud of who you are, said Spencer Dew, an expert on Moors and professor of religious studies at Centenary College of Louisiana. But in the years since, a series of Moorish offshoots have twisted some tenets for their own gain — notably the idea that black people lived in what is now the United States long before the arrival of Europeans, Dew said. You can read the full article HERE, but from the excerpt, we can clearly see the deception going on. The so called “expert” on Moors calls us “African Americans” and “black people” – C’mon son. The Moorish Science Temple of America is not a religion. – Striiiiiike 3!!!! You’re OUT! This is why we must continue to produce our own newspapers, books, etc. The truth about our Nation will not be told by these corporately controlled falsehood pumping propaganda outlets. Don’t believe these organizations, be it CNN, MSNBC, FOX NEWS, or the Washington Post to tell the truth. That’s not what they are here to do. If you would like to know MOOR about the Moorish Science Temple of America, Moorish Americans, and Prophet Noble Drew Ali, visit the International Asiatic Moorish Hip Hop Temple today. Moorning Star – Spring Series – Volume Tres is now Available! !! John and Yehoshua = Garvey and Ali!! Tha Moorning Star – Spring Series – Volume Tres is Now available! 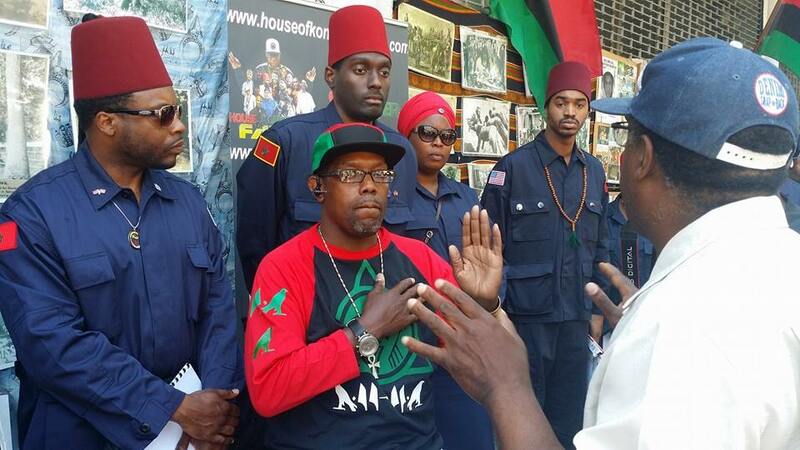 Peace to Moorish Society. Peace to Temple No. 101 in Los Angeles Territory. Peace to You!